If only Summer could last 365 days! 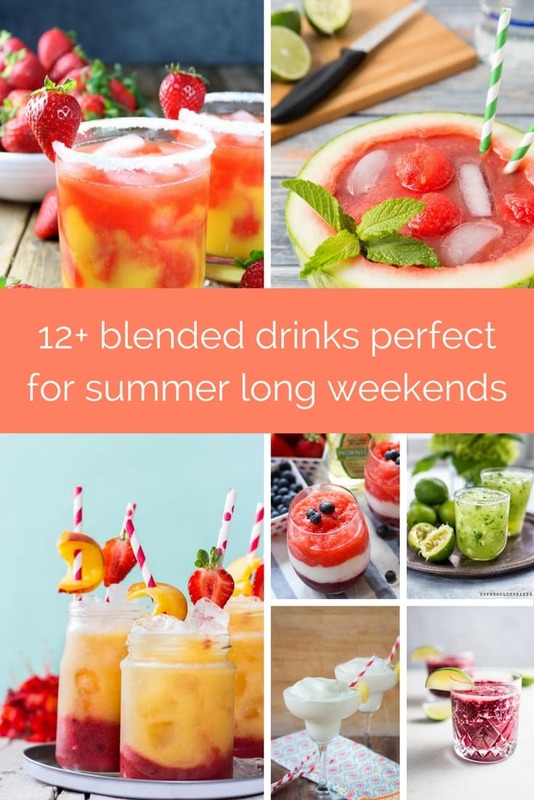 Like blended drinks? We’ve got you covered for the upcoming long weekend! What do you need? 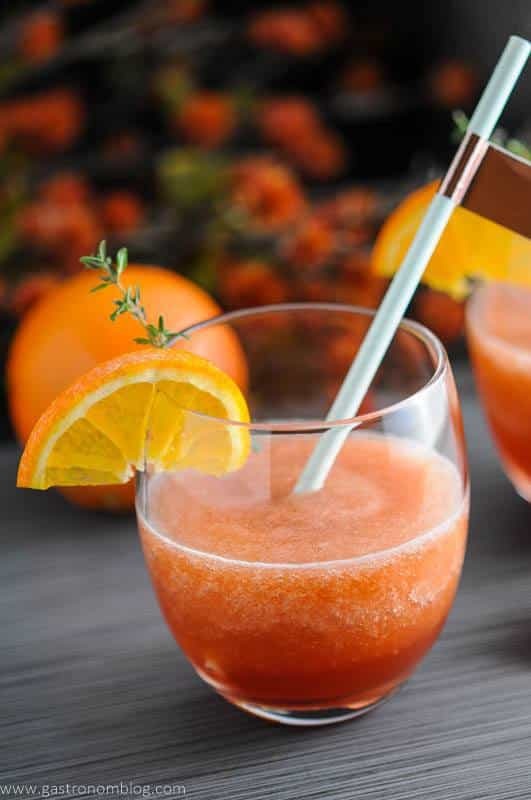 A good quality blender, lots of ice and some good (wide) milkshake straws. If you are making margaritas, why not spring for some margarita salt rimmer or one of these fancy sugar rimmers (or make your own own). 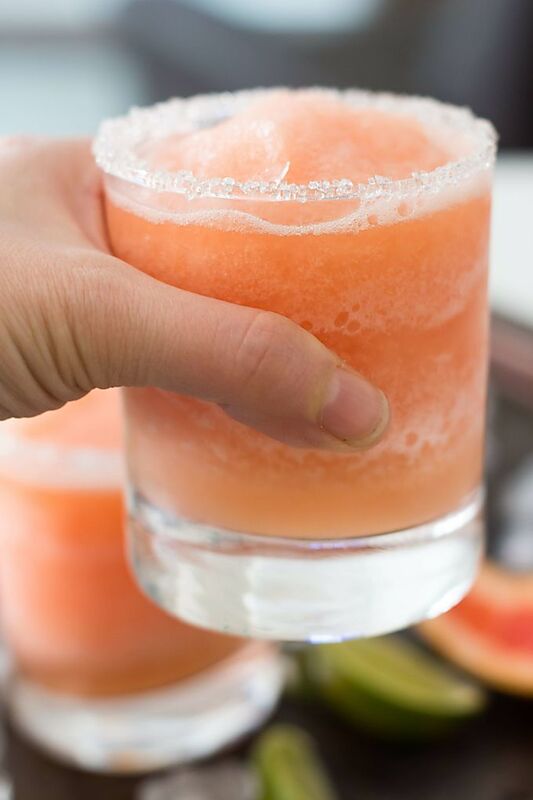 Blended Margaritas are always a hit! And you don’t need to just stick with the traditional lime based margarita, though the classic is delicious. 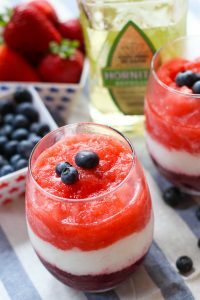 The Red, White & Blue Margarita from Platings & Pairings. Perfect for July 4th celebrations. 2. 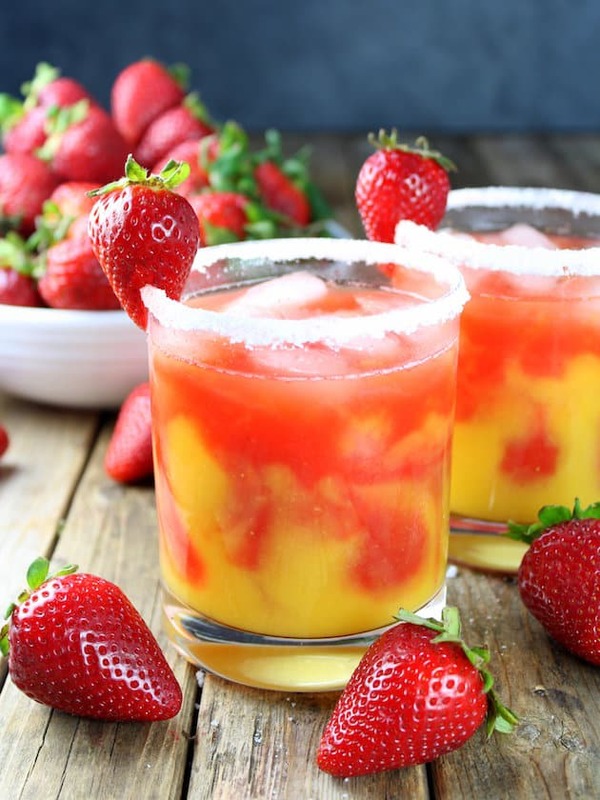 Honey Mango Strawberry Margarita from Taste and See. 3. 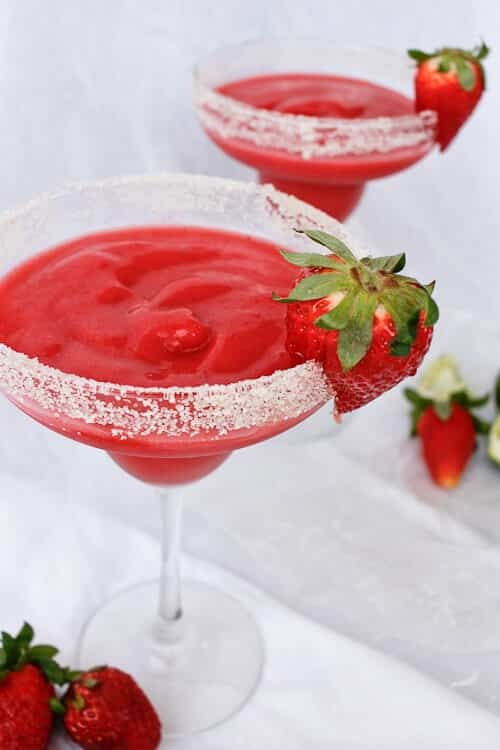 Strawberry Rhubarb Margaritas from Champagne Tastes. 4. 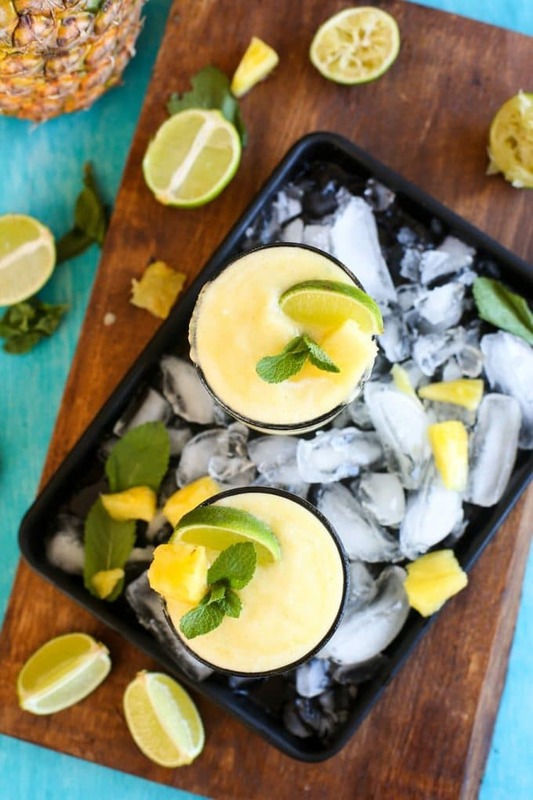 Frozen Pineapple Margaritas from A Saucy Kitchen. Wine is always a good option! Stock up on some of your favourite bottles. We always keep Pink Moscato on hand to make one of our Summer Favourites. 5. 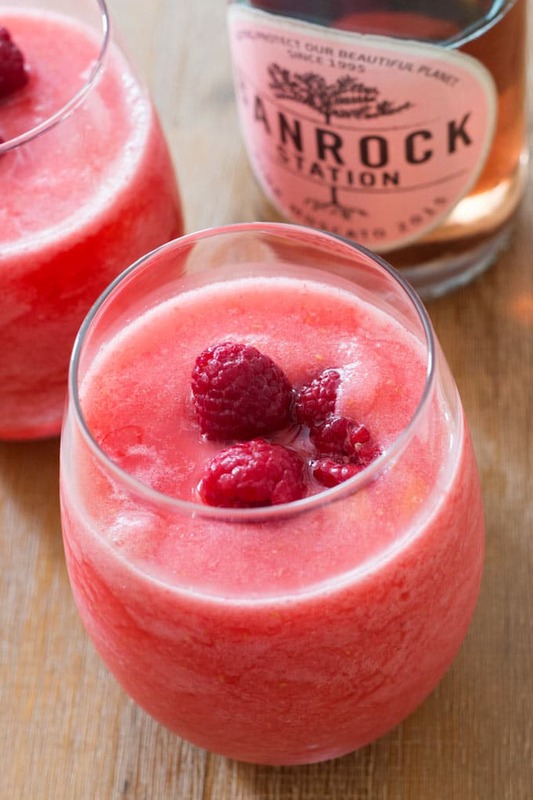 Raspberry Lemonade Moscato Slush from Blender Happy. 6. Wine Milkshake from Certified Pastry Aficionado. 7. 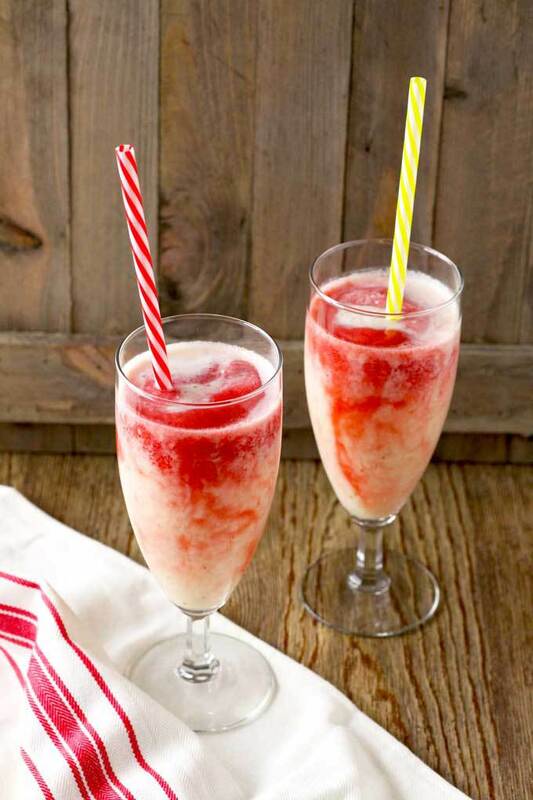 Cherry Moscato Slush from Salt & Lavender. 8. Grilled Tangerine Frozen Negroni from The Gastronom. 9. 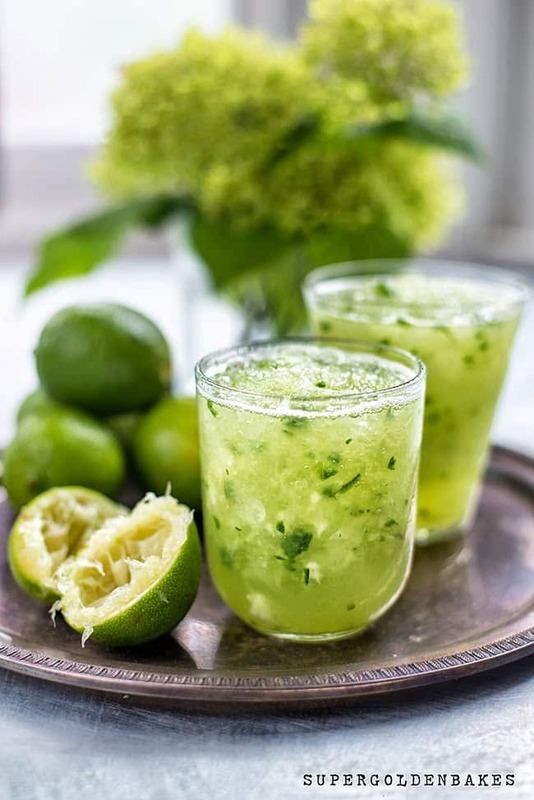 Cucumber Lemongrass Caipirinha from Supergolden Bakes. 10. Watermelon Mojito from The Missing Lokness. 11. Frozen Palomas from Blender Happy. 12. Lava Flow Tropical Drink from Lemon Blossoms. 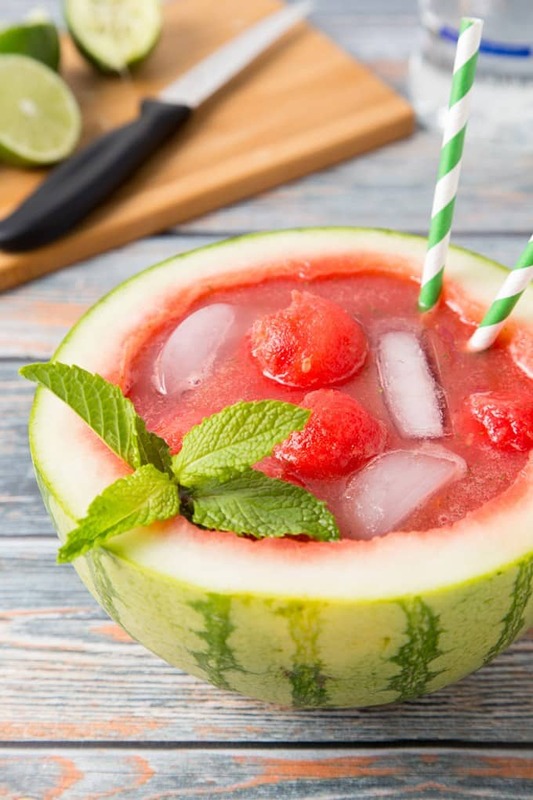 Plus, four non-alcoholic drinks perfect for celebrating while still remaining cool. 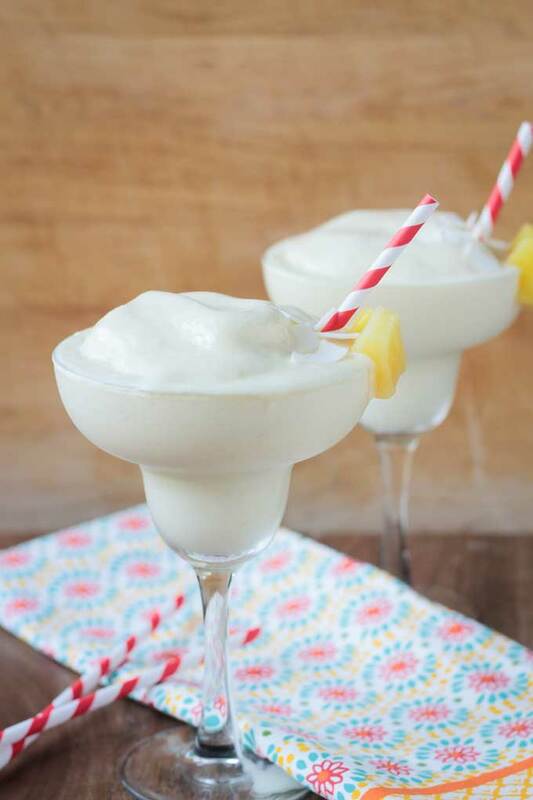 Pineapple Coconut Smoothie from Veggie Inspired. 2. 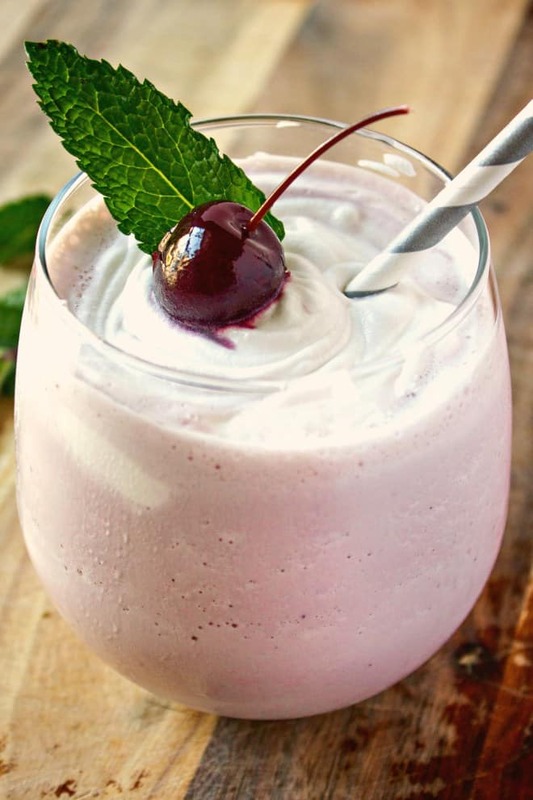 Low Carb Strawberry Smoothie from Wholesome Yum. 3. 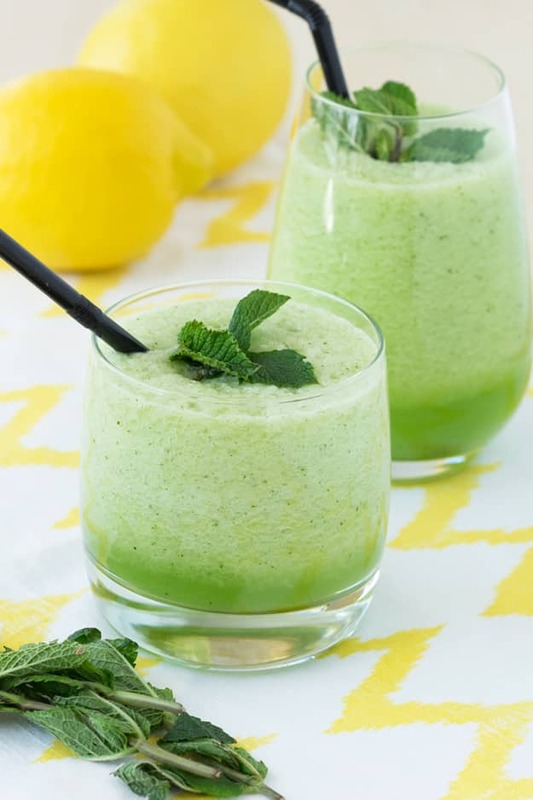 Mint Honeydew Smoothie from The Worktop. 4. 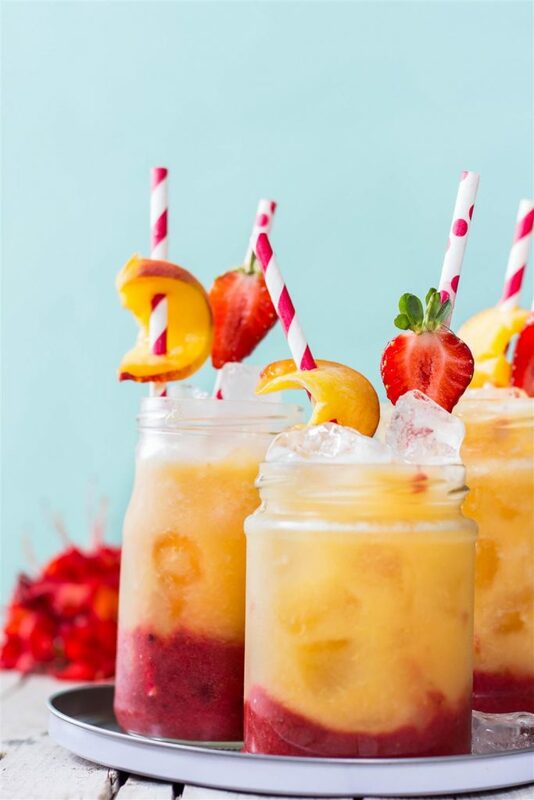 Roasted Peach Strawberry Fizz from Use Your Noodle. For our friends celebrating Canada’s 150th Birthday (July 1st) or Independence Day (July 4th) in the US, we wish you a happy and safe holiday. Thanks Natasha. 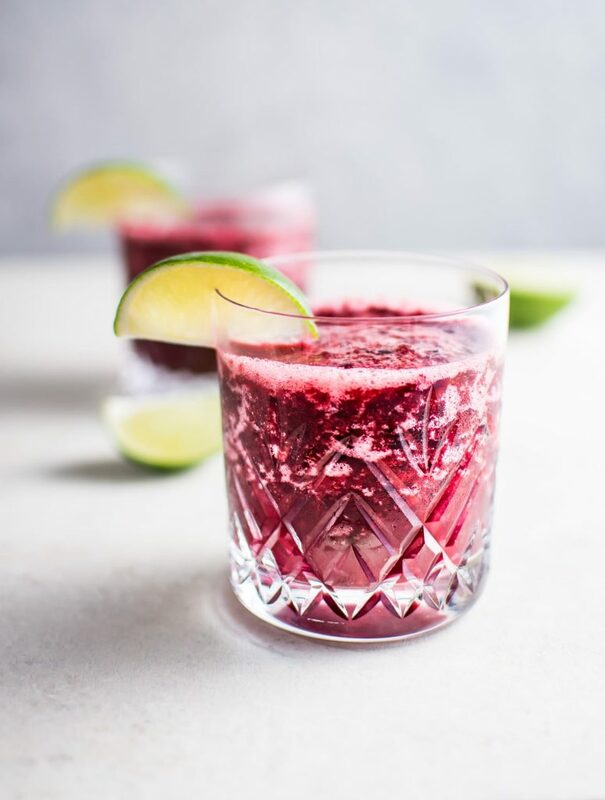 Blended drinks are our favorites so your tasty bev had to make the list! YUM! I can’t wait to try them all! Thanks for sharing my recipe!